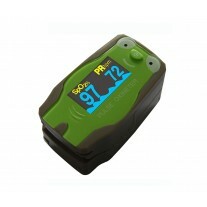 The CMS50QA Pediatric Finger Pulse oximeter is designed from the ground up with children in mind. 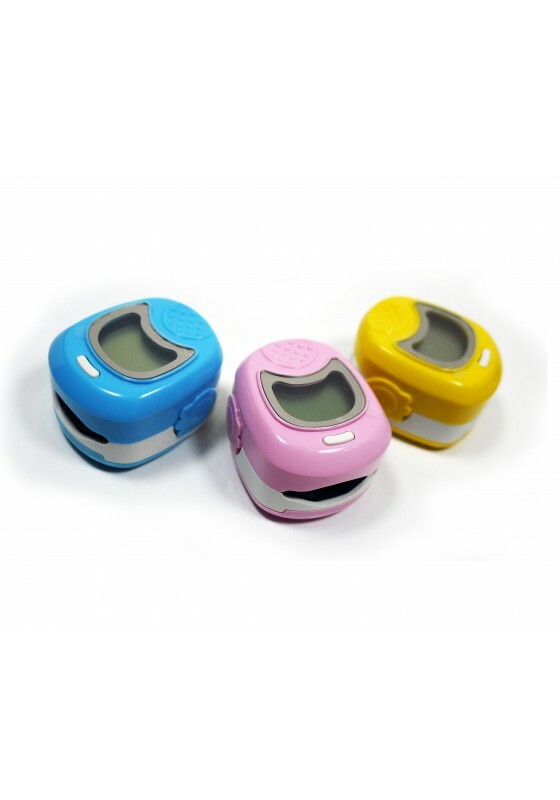 From the designers of the popular CMS 50B and 50E adult finger pulse oximeter comes the latest offering from Contec Medical Systems. 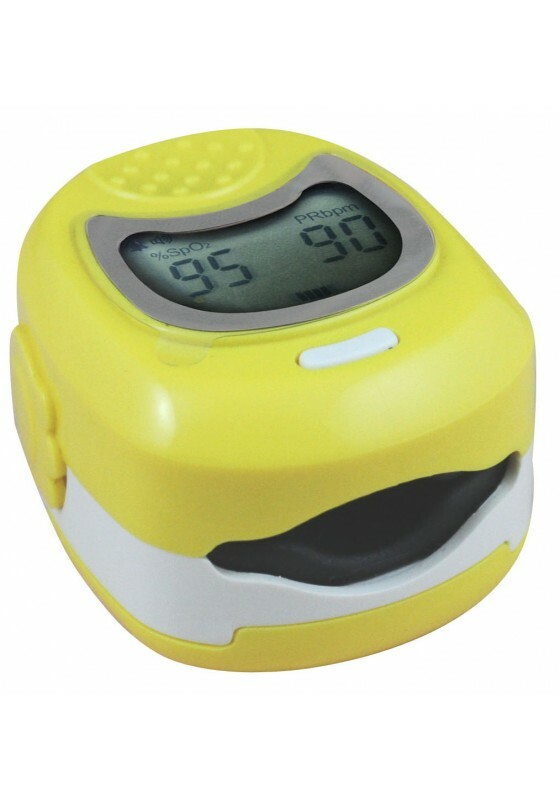 All oximeters are specially designed to detect both the pulse rate and blood oxygen saturation level (SpO2). Colors may vary. The available corlors are Baby Blue, Powder Pink and Pastel Yellow. 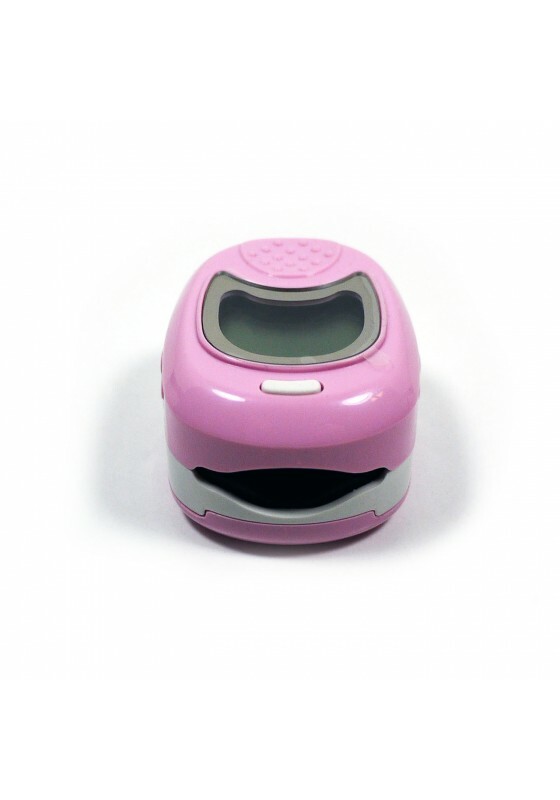 The CMS50QA is made with a smaller foot print along with a new software algorithm and sensor that are specifically made with the physical parameters for children. The sensor is calibrated to the thinner skin surface of children, whose skin could be as little as 0.3 inches (8mm). 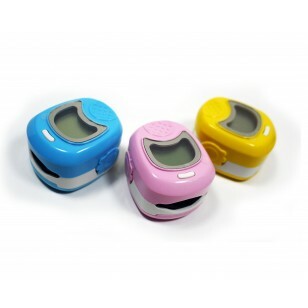 The oximeter opening where one would insert the finger is also specifically miniaturized for pediatric care and pediatric nursing. This helps prevent ambient light from entering the orifice that could cause inaccuracies in the reading. This product is recommended for use on children ages 2 to 13, with a minimum body weight of 35 lbs, or 16 kg. The bright LCD display allows for easy viewing with high contrast. The most innovative feature in this product is its built-in heartbeat tracker. This auditory blip helps keep track of the heart as its beating without having to look at the display visually. 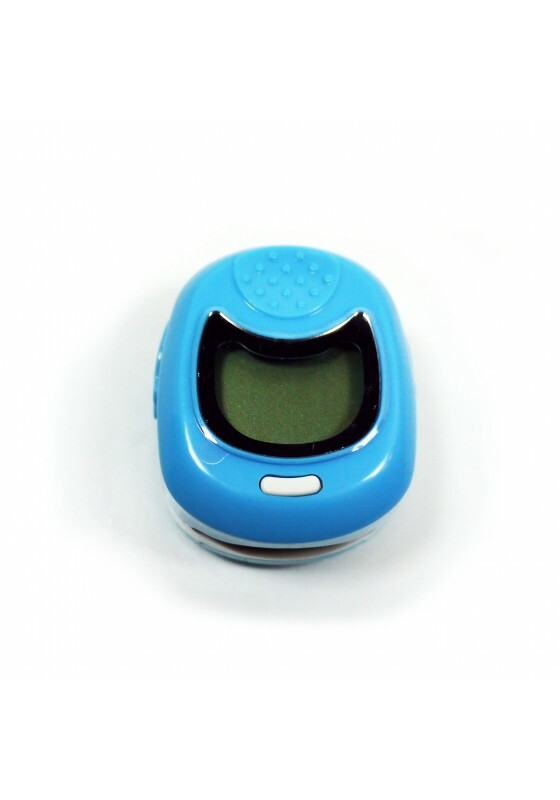 An auditory alarm is also included that would detect when the heartrate or SpO2 exceeds a preset specification. This device is for sports and/or aviation use only. This product is covered by a 1-year limited warranty. Ergonomic design without sharp edges to help avoid injury to the child. Automatic shut-off for when no finger is detected. SpO2 : 1%, Pulse rate: 1bpm. The deviation between the value measured in the condition of man-made light or indoor natural light and that of darkroom is less than ±1%.